Chitkara University NSS team kick-started its Annual Camp at the Campus. 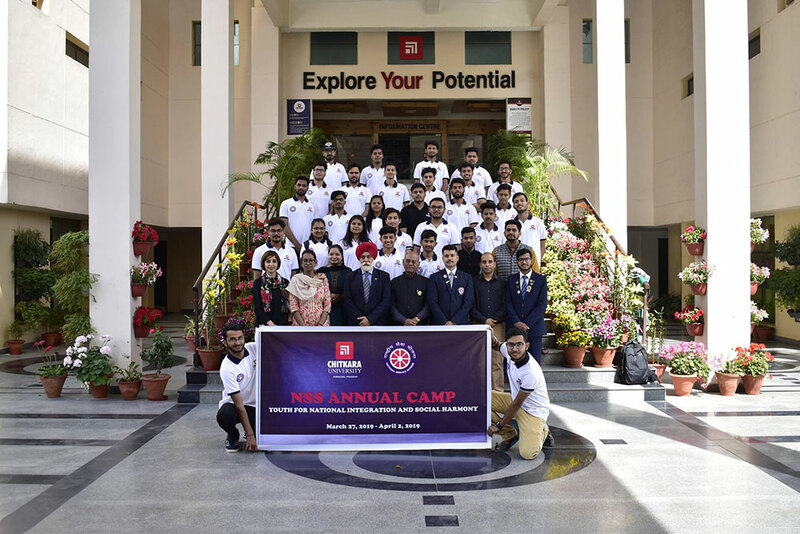 The seven-camp was inaugurated by Mr. K.K Gupta, NSS Founder & first NSS volunteer of India; Mr. Rohit, National Awardee; Mr. Pradeep Singh, Vice President, Swarmani Foundations. The seven-day camp aimed to enable the volunteers to understand the community, identify the needs and problems of the community and involve themselves in problem-solving. Further, the camp aimed to develop a sense of social and civic responsibility, utilize knowledge in finding practical solutions to individual & community problems, develop competence required for group-living & sharing of responsibilities, gain skills in mobilizing community participation, and acquire leadership qualities & democratic attitudes.